1. Swim lessons help keep your child safe. The CDC states that 10 people die from drowning every single day; two of these people are children under 14 years of age. Non-fatal drowning incidents are associated with serious injuries, including memory problems and the loss of basic functions. Swim lessons are one of the most effective ways to keep your child safe in and around water. It only takes a few minutes for a drowning to occur. Even if your family doesn't regularly swim, you might participate in other activities located in close proximity to the water, like hiking, boating, fishing, or cycling. Swim lessons allow children to practice water safety and improve their swimming abilities. 2. Your child can boost their cardiovascular health. 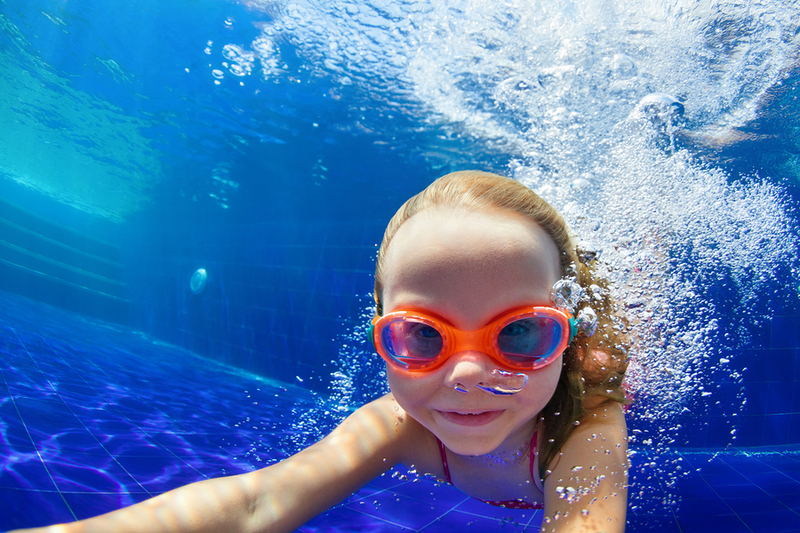 Swimming is a fantastic way for your child to exercise their entire body with one activity. They will learn to use their arms and legs to propel themselves through the water while using their core to stabilize their body. In addition to working multiple parts of the body, swimming also exercises the heart. Regular cardiovascular exercise can prevent an assortment of childhood ailments, including obesity and diabetes. 3. Swimming gives your child a healthy outlet for their emotions. It's common for children to become frustrated by events in their lives, especially things they have little control over. Your child might experience stress and anxiety over schoolwork, social interactions or familial changes. A physical activity, like swimming, provides your child with a healthy outlet to manage and work through these emotions. Exercise in general can alleviate stress and boost mental health, while water activities have the added benefit of promoting relaxation. Mastering a new activity also helps improve your child's confidence. 4. You only need a few pieces of equipment for swim lessons. You only need a few items for swim lessons, and they’re probably things you already have. A comfortable swimsuit, a towel and a pair of goggles are the essentials for swim lessons. Some children may want to wear a swim cap or ear plugs. Even with these additions, start-up and ongoing costs for swim lessons are extremely affordable. Ready to enroll your child in swim lessons? Contact the YMCA of Southern Nevada today for more information, or visit any of our locations.